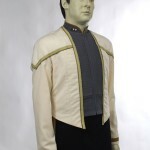 A custom mannequin for a movie used Star Trek Data costume and wig. 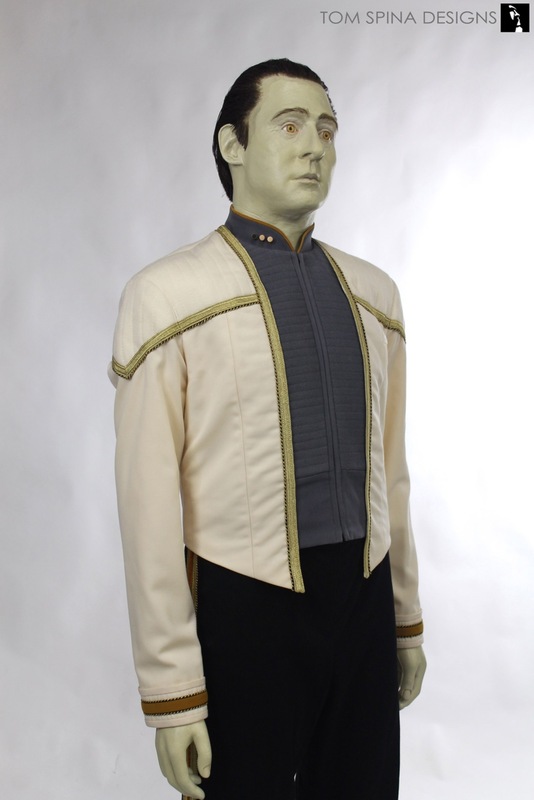 Our client came to us looking for a wax style statue to display a screen used Star Trek Data costume and wig from the movie, Nemesis. 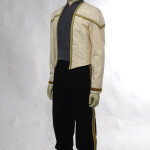 This dress uniform was worn in the film during Commander Riker’s wedding to Counselor Troy. 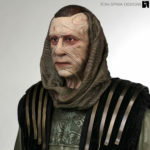 Our client also sent us a resin head sculpture of actor Brent Spiner, who played the android character in The Next Generation television series and films. 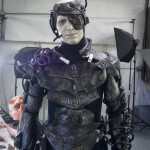 We believe the head sculpture came from a modified life cast of Spiner, so it was a great starting point for our display. We modified the head sculpture slightly to make sure it fit and supported the wig correctly. 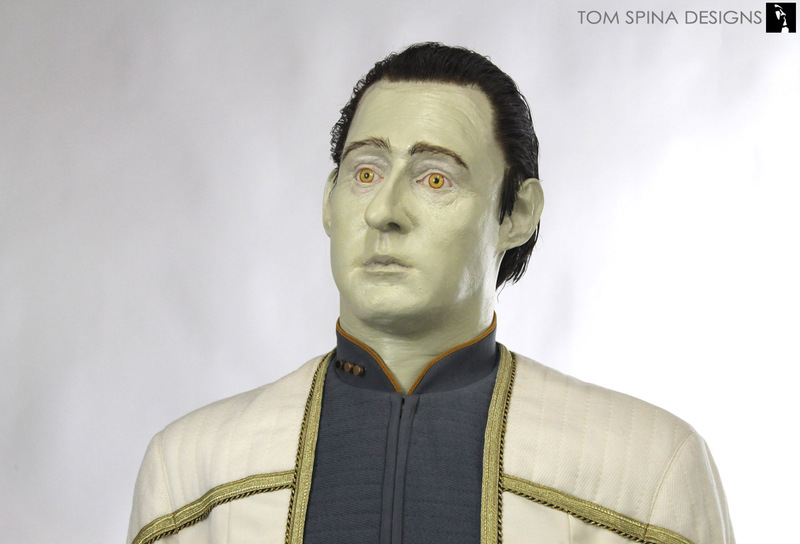 We also replaced the eyes of the sculpture with custom glass eyes, in Data’s signature yellow shade for a more realistic look. 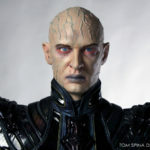 We then used several photos as reference to achieve the perfect android skin shade via carefully layered paint. 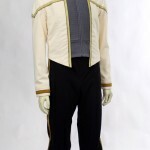 We also applied this color to the mannequin’s hands. 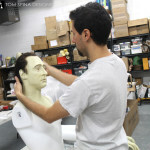 Finally we mounted the wig to the head and added hand laid eyebrows to really bring the mannequin head to life. 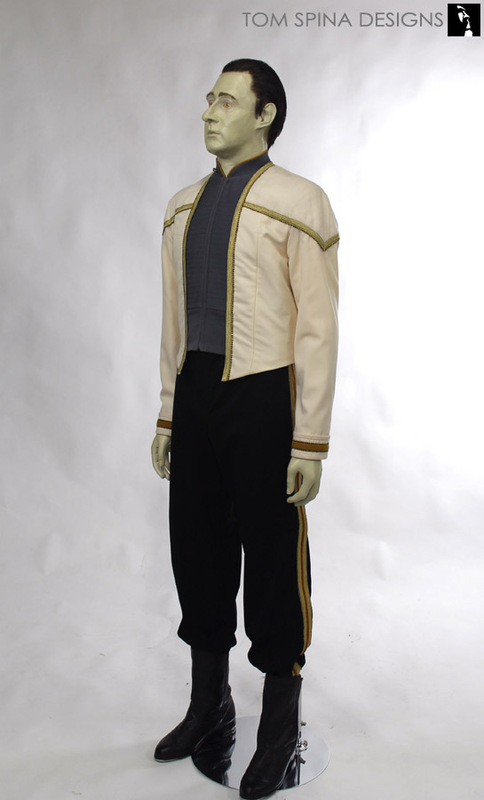 We customized a mannequin with careful padding for Data’s movie costume, being very cautious to ensure that each piece of the uniform hung the same way that it did in the film. 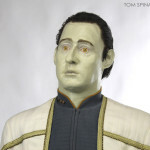 We then mounted the head to the customized mannequin with the proper quizzical head tilt to add that last bit of the classic “Data” character!